Tis the season...It's Spring, and birds are chirping, pollen is flying, and exes are a'calling. 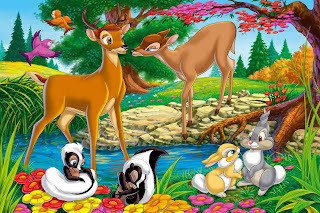 Spring seems to be mating season for humans as well as our animal kingdom subjects. If your number has stayed the same, trust that old flames and even old sparks will be looking to re-ignite. Why? Beats the heck out of me! Maybe the warm(er) weather makes people remember good old times, or maybe folk want to make sure they have a boo to take to the annual 4th of July BBQ. So what do you do? Jump back into their arms or raise your arms? You two haven't spoken since '94. Where'd this sudden interest come from? Loneliness? Boredom? An excerpt from the season finale of "Scrubs" that reminded them of you? Did you two have a really good time before, and they were just reminiscing? Or are they realizing that they're getting older, need to settle down with SOMEONE, and you're the best candidate from their past? Be cautious when old flames call around the time of their birthdays; they may be going through their little black book looking for someone to wife up since they just turned 30 and have no new prospects for marriage. Or they may be getting pressure from their parents (and/or church congregation) to "find a nice girl/boy" and settle down. "What about ___? She/he was such a sweetheart." Don't let yourself end up just another part of someone's 3 year plan. 2) What was the reason you two lost touch in the first place? Was there an earnest connection that may have come at the wrong time? Were you seeing someone back then who's now no longer in the picture? Or did he or she have some severe issues (throwing your phone out the window, hemming you up, or offering a wedding ring after the first date)? If there was a reason back then, will it happen again? People change, but some basic things stay the same. Make sure you're not walking right back into the same drama you ran from before. You may not be the same person you were 5-10 years ago. What made you compatible then may not work now. For many, dating in high school only really required good conversation and the newest pair of Jordans on your feet. Now, does he still only wear Jordans? Or can he put on a shirt and tie every now and then? Is she employed or still waiting on Prince Charming to take her out the hood? The thing that super-glued you two together may be the rubber that keeps you both apart. Treat this like a new dating prospect. Get to know them NOW without clinging to memories from BACK THEN. Hold them to the same standards you'd put on someone you met a few days ago who's trying to be a part of your life. If you decide that that old flame could be your Olympic Torch, you are promising that any bad feelings or negative thoughts from your previous encounter will NOT show up in the present. You are forfeiting your right to throwing the reason you separated before in his/her face, making qualitative statements like "you always do that, remember back in 2001...", and you are not allowed to hold the past against them in any way. You are dating them for who they are now. I suggest you clear the air before you start to get serious, and throw all that out the window once and for all. 5) Don't Be Afraid to Say, "Hell Nah!" I recently received a phone call from an ex who I hadn't spoken to in ages who asked if I ever thought about us. I told him no, and realized once he said he thought Andre 3000 was whack, that we could NEVER EVER be together. Realize that if you don't want to go there, you don't have to. You are allowed to have a nice conversation, get all nostalgic and misty-eyed, clear up past misunderstandings, and catch-up a bit. You can even do it over a bite to eat. Why not? It's all in the past. But if the other person wants to try again, feel free to say, "Hell nah!" You are not obligated to try again because of the history you two have. That ship may have sailed its course. The saying goes "Forward ever, backward never." Be honest and upfront. If that's not what you want, don't lead them on into thinking they've got their childhood sweetheart back. Have a good time and keep it moving. 6) If you really, really don't want to deal with this, you can always change your number.